A man with a phone in hand walks past a window branded in an 'Airtel' logo in the Kenyan capital Nairobi on May 20, 2011. Africa's mobile phone market, the fastest-growing in the world, is the last frontier for the industry with the promise of unlocked riches luring global interest including from Chinese handset makers. Africa's mobile phone market, the fastest-growing in the world, is the last frontier for the industry with the promise of unlocked riches luring global interest including from Chinese handset makers. But there are two significant challenges in Africa, according to industry leaders and analysts at the world's biggest mobile fair in Barcelona, Spain: lowering prices for handsets and services and boosting a patchy network. The use of mobiles is exploding among the one billion people in Africa, where landline networks are poorly developed. Many people rely on the devices for financial transactions—Africa is a leader in the use of "mobile money"—or to link to the Internet. "Africa is the last frontier of mobile telephony in the world," said Manoj Kohli, chief executive of Indian group Bharti Airtel, which has a big presence in the continent. "But it is tough to maintain a network," he added. Chinese manufacturer Huawei this month launched a sleek new smartphone adapted for Africa, the 4Afrika, running on Microsoft's Windows Phone operating system and with a four-inch screen. "Five or six operators in a country makes it a difficult market for us," he said, accusing some players of charging at below cost and urging consolidation in the sector. 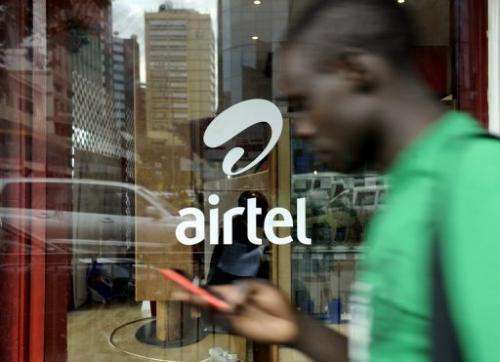 Some operators, including Barthi Airtel's Kohli, called for players to share infrastructure so as to ensure coverage of the continent and to have any chance of offering Africans third generation fast networks, let alone the superfast fourth-generation. "We cannot duplicate networks. Only Americans and Europeans can do that, not Africans," he warned.